Austria based manufacturer, Noctua well known for its cooling solutions and fans has added several new coolers and CPU fans to its already existing range of impressive solutions. These include an entirely new Tower cooler, an update to it’s compact CPU cooler and an entirely new flocked surface fan range. Recently, the company had also launched two new fan series with additional updates possible through accessory kits. 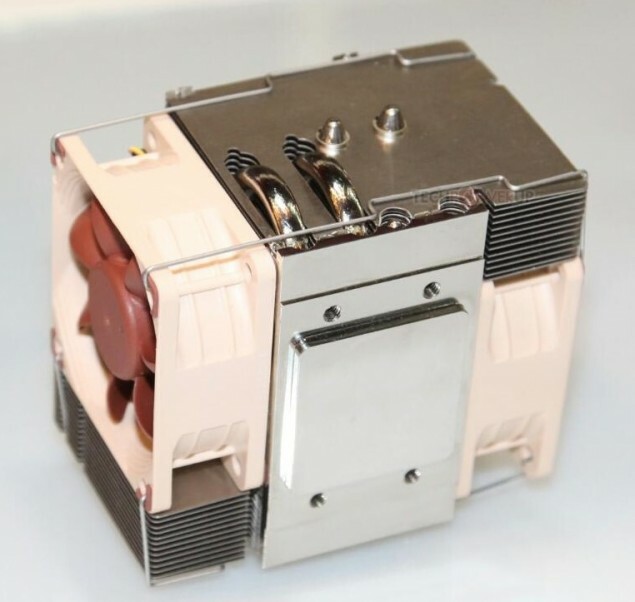 These included four variants of its Redox line of fans designed for home and enthusiast users and its Industrial PPC line designed for more advanced cooling performance and ingress protection. Noctua Demos A Tower Type CPU Cooler With Heatpipes Mounted On A Cube Base. Noctua has demoed a new tower type CPU cooler. While tower type coolers are fairly common, this one is a little different from others available in the market. It has heat pipes originating at the base . These then shoot straight up the central portion of the aluminum fin stack. This allows for a more even distribution of heat throughout the tower. This design is in sharp contrast to existing general tower coolers available in the market. 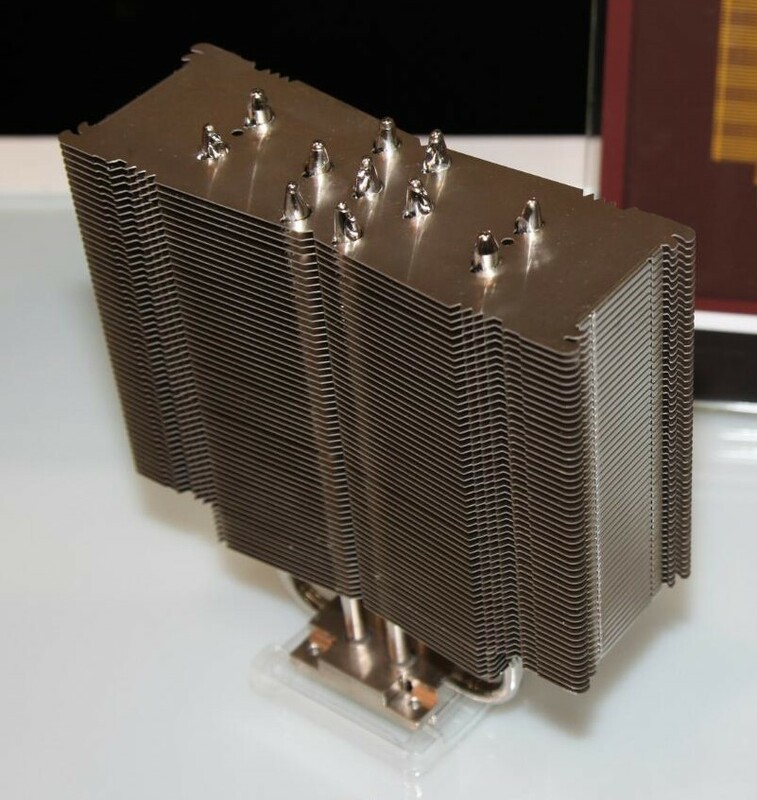 Generally, in tower type coolers the central bent portions of the heat pipes pass through the CPU base. Their arms meanwhile pass through the ends of an aluminum fin stack. 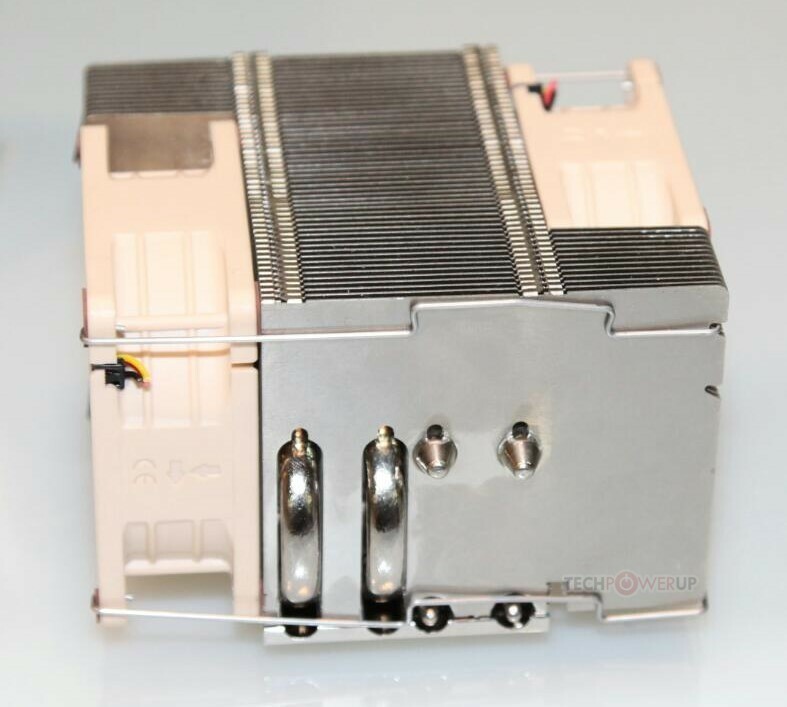 Noctua has implemented its variation of the cube based heat pipes on a variation of its popular NH-U14S heatsink. 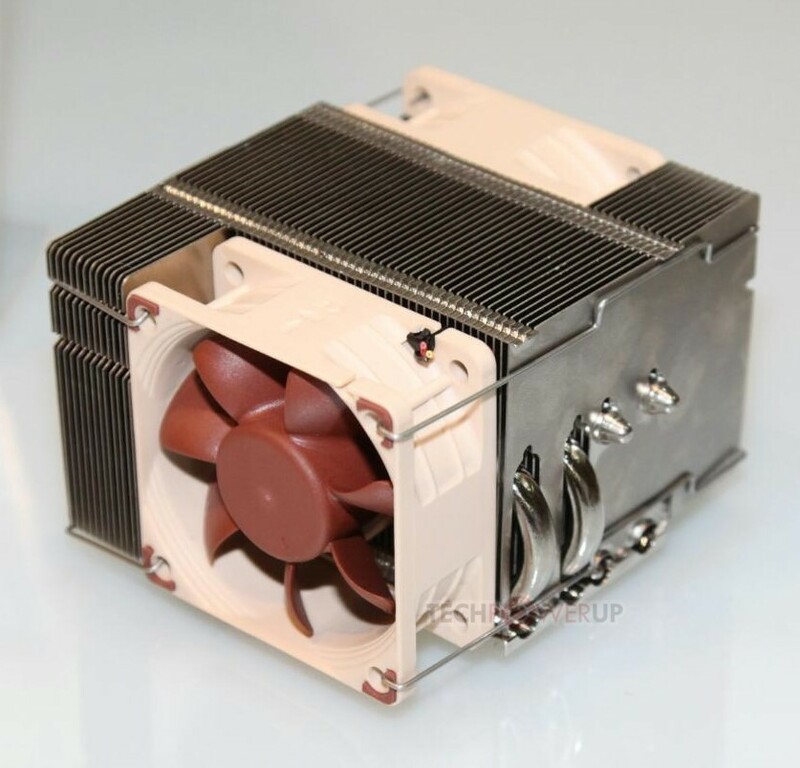 Noctua Also Shows Off an Update To Its U-Type Compact CPU Cooler. 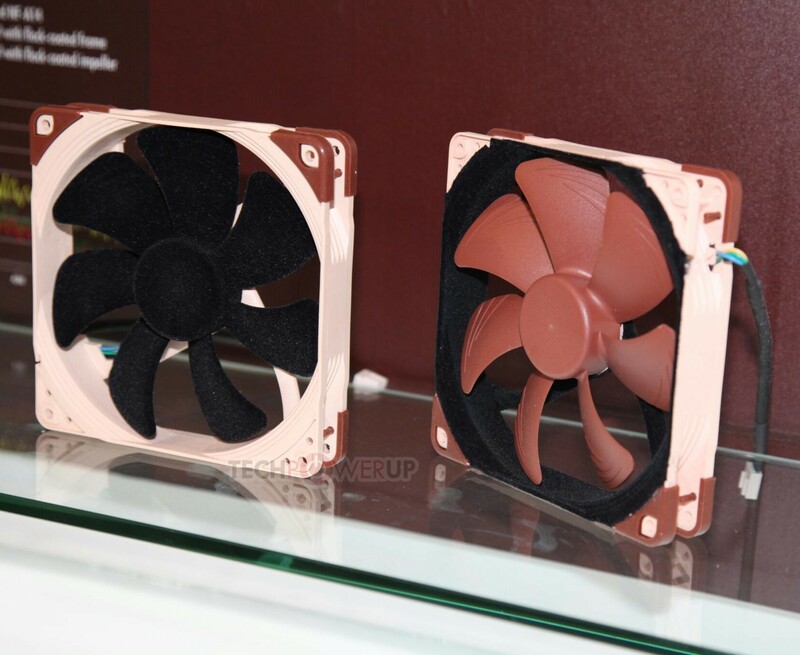 Noctua has also showed off an update to its U-Type Compact CPU cooler prototype. This was the second showing for the cooler since it has already been shown once before. This time, the cooler has been displayed with a pair of 65 mm fans. This cooler attempts to achieve two ends at the same time. Its goal is to provide the ventilation of a tower type solution. In this the hot air is pushed out of the case through the rear. This is cross blended with the compactness of a top-flow one. 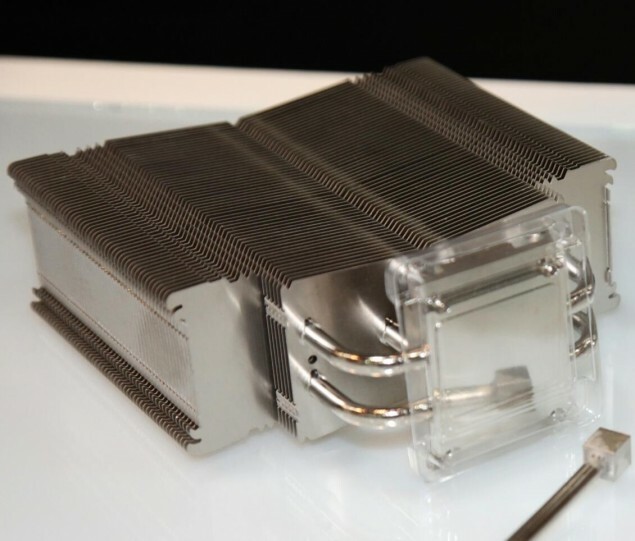 In the overall design of the prototype, there is a dense aluminum heatsink to which heat is drawn from a nickel plated base. 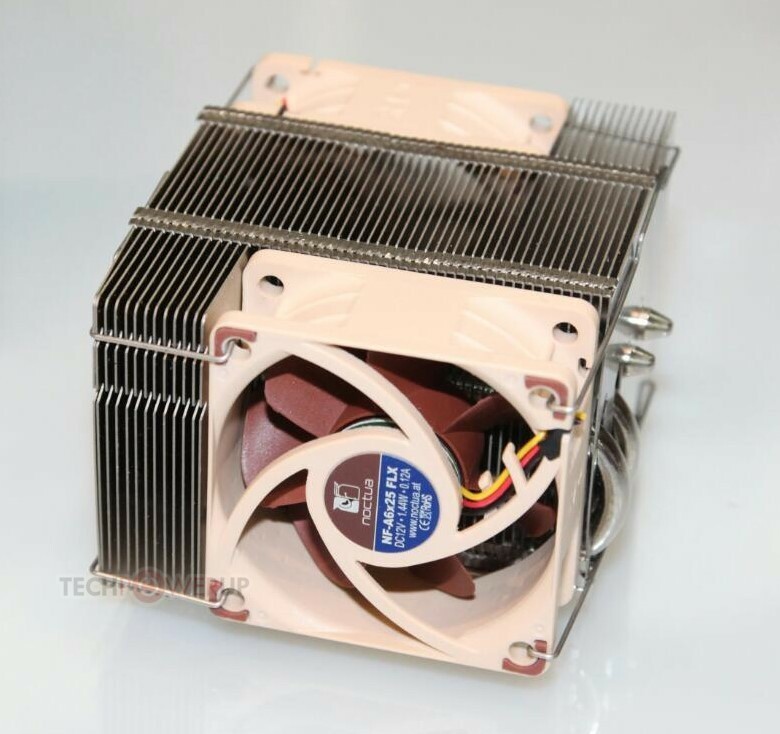 The heatsink is fed by four 6mm thick heat pipes and is ventilated sideways through a pair of 65 mm fans in a partial push-pull configuration. 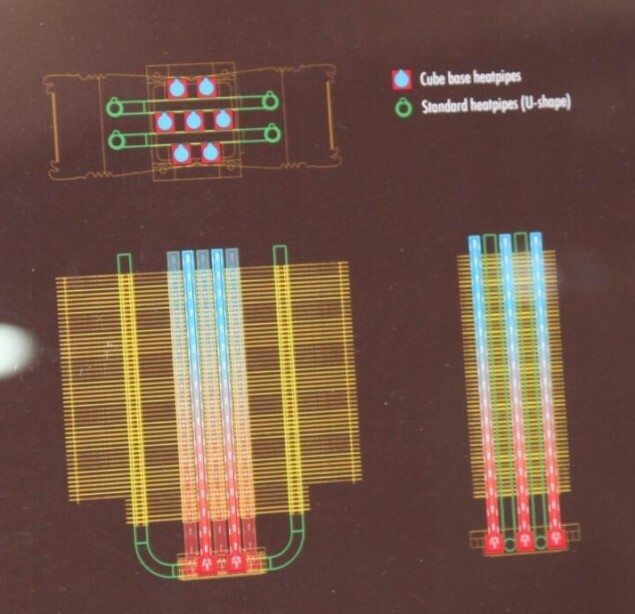 The cooler should be able to handle most CPUs. There is officially no word yet on its release. Noctua Also Unveils Flocked Surface Fans – New Design, but properly functional? 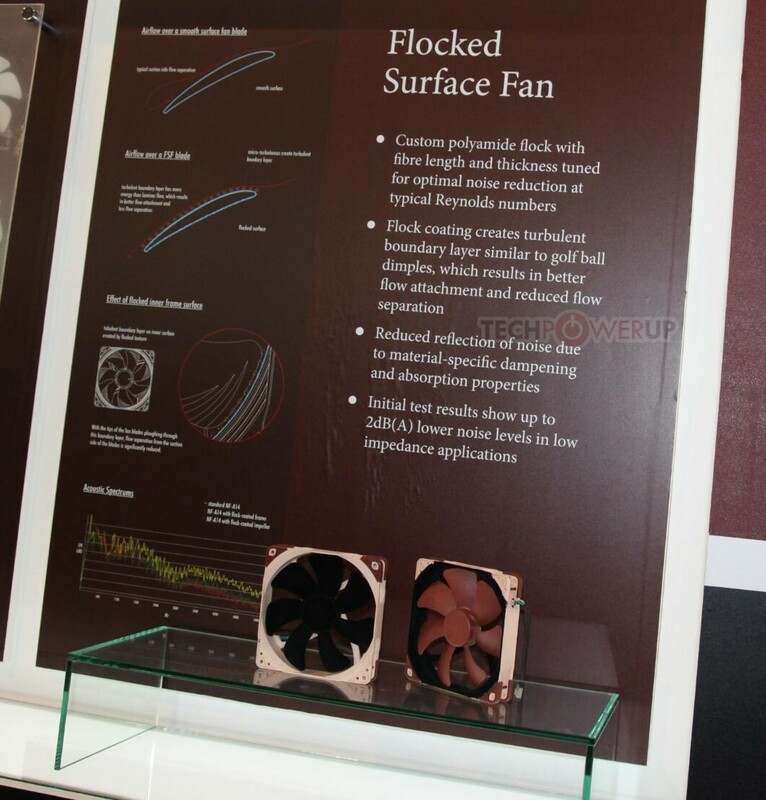 The company has also unveiled a new range of fans at this Computex. These are its flocked surface fans or the flocked surface impeller. 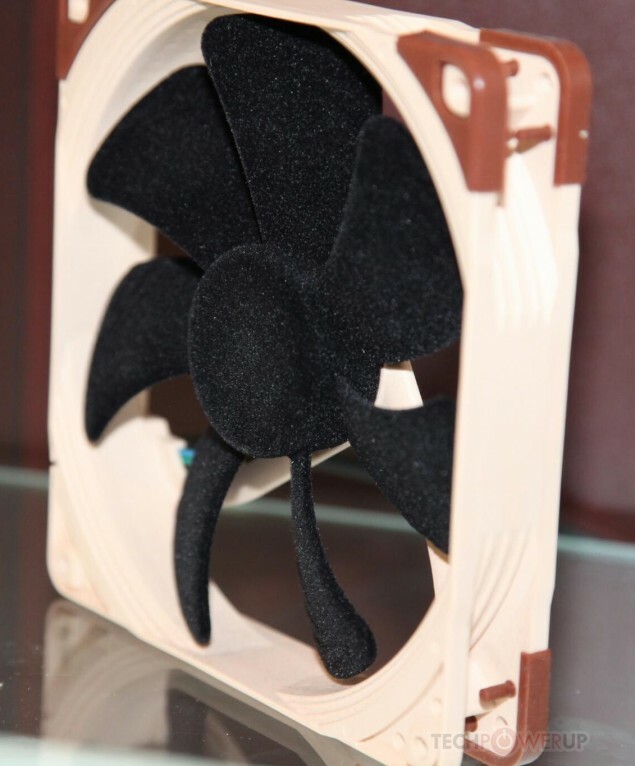 The fans are flocked in two ways – flocked impeller and flocked frame interior. Both of these fans can be seen in the images above. These fan impellers feature fibrous flock layers along their surface. These end up creating a turbulent boundary of buoyant air. This results in separation of increased and decreased air-flow. However, it does seem that the new fans just might be more prone to catching dust due to their flock design.